Individuals, departments, or groups making purchases on behalf of the University are subject to follow the University's Purchasing Policy and Purchasing Handbook. The Purchasing Policy provides procurement guidelines and procedures. Employees involved with the purchasing process are responsible for understanding policies and procedures regarding purchasing and supplier relations. The Purchasing Handbook helps users navigate through the procurement process so that they will be able to purchase goods and services. Buyway is Miami's online marketplace. It allows you to purchase goods and services from preferred contracted suppliers and request payments. Buyway provides easy access to multiple supplier catalogs with University-negotiated pricing, and a comprehensive workflow tool for electronic purchase approvals. For more information, visit Accounts Payable's page on Buyway. The Purchasing Card (P-Card) is the preferred method for pre-payment transactions such as subscriptions, books, professional dues, conference registration, airline tickets, and hotel room charges. For more information, visit Accounts Payable's page on P-Cards. 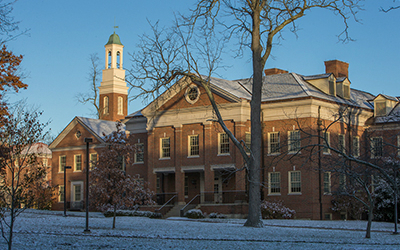 Miami University participates in the Educational and Institutional Cooperative Service (E&I), Inter-University Council of Ohio (IUC), and other purchasing consortiums and group purchasing organizations (GPO). As a member school, we can take advantage of negotiated pricing based on all member schools' volume. In addition, we have established pricing on other goods and services that are commonly used by the university to help expedite the buying process. Miami-negotiated prices and IUC and E&I contracted pricing are loaded into Buyway for you to view and make purchases against. For some services however, you may need to contact the supplier directly to make special arrangements. Please contact an approved provider (see below) to arrange services. Once an estimated price is known, a requisition should be entered into Miami Buyway for payment purposes. Select Bus/Coach Charter firms have committed to provide travel quotes for various types of bussing needs at Miami University. These firms may be able to provide transportation for student organizations, departmental travel, club sports, fraternities/sororities and intercollegiate athletics that originate from Miami campuses. These firms have all submitted the required $10 million liability insurance coverage. However, organizations should request a current insurance certificate (ACORD Form) with their quotes. As noted below, there are many different equipment options available and the costs will vary based on the size of bus, number of seats and the amenities requested. University groups should attempt to get quotes, specific to their needs, from 3 of these firms but are not limited to the number of quotes they wish to receive. Needs will necessarily vary by group size, distance to be travelled, required amenities etc. A request for quotes should only be sent to the bus firms with which a department would ultimately contract. If previous experience with a given firm would prevent them being selected, that firm should not be included in a Request for Quotes. Any sole source selection or the selection of a firm other than the low bidder should have a well-documented justification with concurrence by the Purchasing Department. During passenger pick-up and/or unloading, the charter bus service shall not dwell, stop, or stand in bicycle lanes in accordance with Ohio Revised Code ORC 4511.713 and ORC 4511.68. While transit bus stops may be available at some locations, the University prefers and suggests that charter services consider loading/unloading at alternate locations such as Ditmer (4945 Oxford-Trenton Rd. ), Chestnut Fields (101 W. Chestnut St.), or Millet Hall West (500 E. Sycamore St.) parking lots.